The wife was away at church on Valentine's Day, so one 79-year-old husband figured it was a good time to dash out and buy his love of 59 years a present. The only glitch? The devoted husband hadn't driven a car in quite the while, explains a Love What Matters post. It seems the husband below ended up buying his beloved "a small box of chocolates" before getting a lift home, reports 12 News. 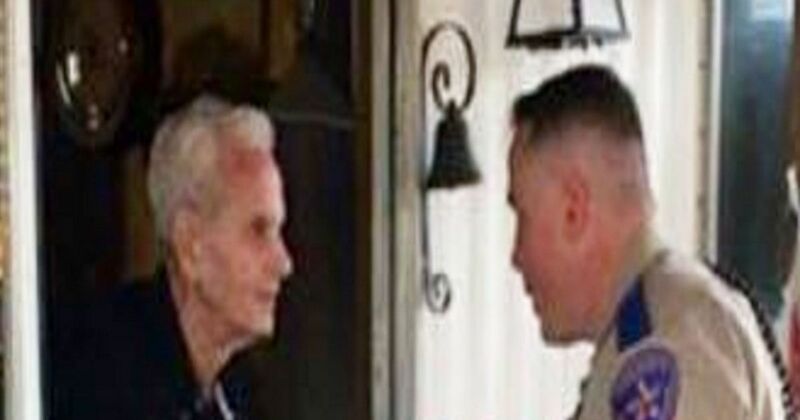 When Deputy Donnie Wayne Gulley showed up at the store to check on the man and found out what had transpired, he let his heart be his guide. 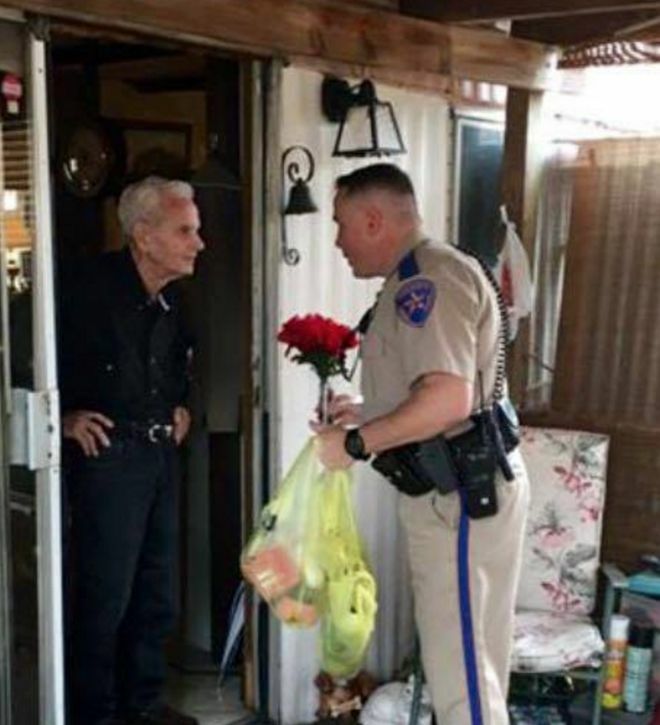 As Cindy McDowell lays out her Love What Matters story, the deputy "decided a small box of chocolates for a 59-year marriage needed a little bit more attention. He and several patrons created a basket of goodies for this couple." The 12 News report captures Gulley and patrons gathering a vase with flowers, some grape juice and glasses and other gifts to "load him up" so the Silsbee couple enjoy a bundle of goodies. What you see above is the good deputy dropping off the goods. But true to character, he says the collective good deed is not the point. "I want to remind everybody it's not about what we did. I think the focus should remain on the man's devotion to his wife and the love he has for her," Deputy Gulley said. "He was willing to do what it took no matter what the cost to make sure she had a good Valentine's Day. It's a great example for the rest us," Gulley told Texas' KFDM.